Kalamazoo College Fund contributions from July 2017 through June 2018 totaled $2,463,319. Thank you for helping ensure Kalamazoo College has the resources to prepare its graduates to provide enlightened leadership, forge better understanding and lead successful lives in a richly diverse and increasingly complex world. 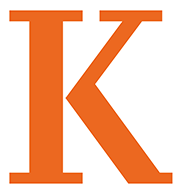 As the world changes, Kalamazoo College is working to bring the benefits of its excellent liberal arts education to talented students who may not otherwise have the opportunity to take advantage of the K-Plan. Thanks in part to your contributions, K is rising to the challenge. Extraordinary teaching is essential to K's distinctive approach to learning. Your gifts make it possible for K to attract, retain and support professors who are among the best and most-qualified in their fields. Among full-time faculty, 96 percent hold a Ph.D. or other terminal degree. The elements of the K-Plan go far beyond rigorous academics to include experiential learning opportunities for all students. Your gifts make it possible for K students to take part in study abroad, internships, externships, career treks, civic engagement opportunities and more. Our beautiful campus is also essential to the K experience. Your generosity helps sustain these programs and facilities. While K students celebrated the unique K tradition of Day of Gracious Living, 1,013 alumni and friends of the College joined in a Day of Gracious Giving, contributing a total of $226,270. This leadership group of 391 committed donors, including young alumni, gave $1.6 million to the Kalamazoo College Fund last year. The Kalamazoo College Fund supports the retention and development of excellent faculty who inspire students to cultivate the knowledge and skills they need to become leaders in their fields. Donations make it possible for students—regardless of financial need—to participate in this life-changing cornerstone of the Kalamazoo College experience. Charitable gifts provide students with hands-on opportunities that add breadth and depth to their learning. Financial support allows students to participate in summer research programs that provide the basis for Senior Individualized Projects, adding meaning and context to their K experience. Ninety percent of 2017 graduates seeking employment had secured it within six months of graduation. Among five- and 10-year graduates combined, 39 percent of respondents reported an annual income of $100,000 or more. Among U.S. colleges and universities surveyed by the National Science Foundation, K is among the top 2 percent for the proportion of graduates who go on to receive doctoral degrees. K ranked 13th among small schools on the Peace Corps’ 2017 Top Volunteer-Producing Colleges and Universities list. Gifts to the Kalamazoo College Fund are essential to the support of scholarships, faculty excellence and resources, and the K experience.